Tipard Free Any Video Editor is the best free video editing software for Mac users. 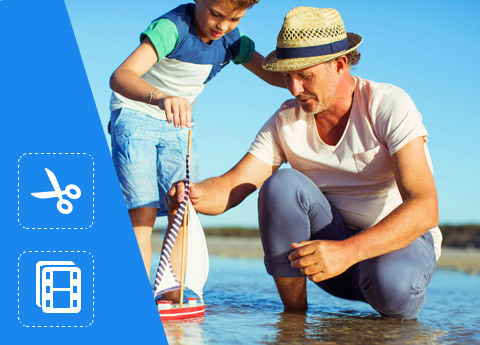 It enables you free to rotate, flip, crop, clip, merge, watermark and edit video effects. 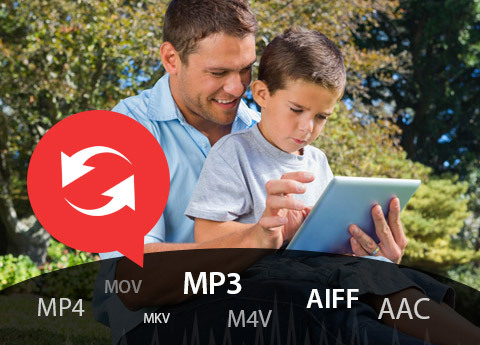 All video and audio formats like MP4, MOV, MKV, AVI, WMV, FLV, SWF, MP3, FLAC, AAC, WAV, M4A, etc. are supported for editing and converting with this powerful video editing software on your Mac (macOS Mojave supported). 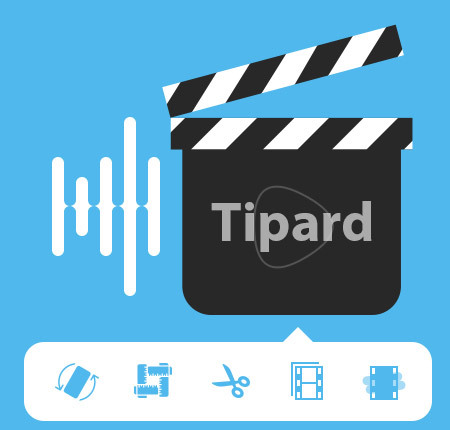 Tipard Free Any Video Editor, as the freeware, enables you to edit video and audio files as the fresh hand with the powerful editing effects. Not only as the free video editor, can it also be the free video and audio converter to convert over 300 formats. Feel disturbed by the sideways video recorded with your iPhone when you playback the video on your computer? Want to flip your video to get an ideal angle to watch it according to your habits? Tipard Free Any Video Editor can help you exactly. It lets you rotate your video and flip video with one click. You can rotate video in 90 counterclockwise or clockwise. For flipping feature, you could get a vertical flip or horizontal flip freely. When you feel annoyed by the black edges around your movies, or want to give a close-up vision to look at clearer for your favorite part in a video, just use this crop function. This free video editing tool allows you crop video in four zoom modes: Letterbox, Medium, Pan & Scan and Full. Also, you could drag the frame to crop the video files as you like. Cropping area size can be customized as you like. How do you cut a long video into minute-watching? How to make music collections to gather all your favorite songs into one long song? Clip and join functions will meet your demands fully. The free video editor makes you easy remain or remove the selected part of one video or audio file. Also, after making clips, you could join the video or audio clips into one file to make the collections for your pleasure. This video editing app can be regarded as the video converter. Compared with online video converter, this program supports more than 300 video and audio formats converting. Like MP4, M4V, AVI, VOB, MOV, FLV, SWF, ASF, WebM, AMV, MTV, MP3, AAC, AIFF, ACS, FLAC, M4A, M4R, M4B, OGG, WMA, etc. are highly supported to convert for your iPhone, iPad, Android phone, Adobe Premiere, Avid Media Composer, PS3/4, and more devices. This editing software lets you preview the effects in real-time when you edit your video to make adjustments. 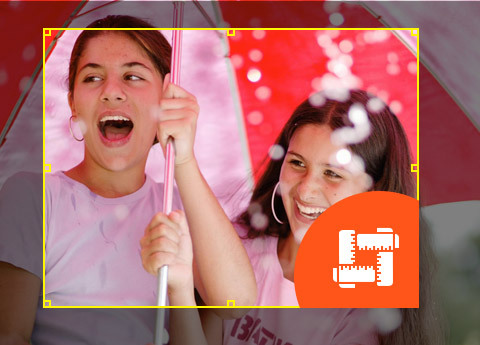 You can add your preferred text or image as your video watermark before you share it on online sites. Free auto-update function makes sure that you always have the latest version to make enjoyment. The free video editor enables you to make output video and audio settings like resolution, encoder, ratio, etc. This topic will show you how to convert M2TS format to MP4 used reputable and professional Converter. We list 5 best YouTube video downloaders for Mac to help you free save online YouTube videos in this post. This article would show the best Video Cropper to crop a video for Windows/Mac and iOS/Android.